BARCELONA - Incomplete it if the event of Mobile World Congress 2016 which took place last week in Barcelona, Spain, was closed without the announcement of who is considered best of the year. As usual every year, the GSM Association (GSMA) this time also announced the winners of the Global Mobile Awards for 2016. This year there are eight categories contested at each of which there are also other sub-categories. The eight main categories in the competition are The Connected Life Awards, Best Mobile Services, Social & Economic Development, Best Mobile Apps, Best Mobile Handsets & Devices, Best Mobile Technology, Government Excellence Awards, and Outstanding Achievement. 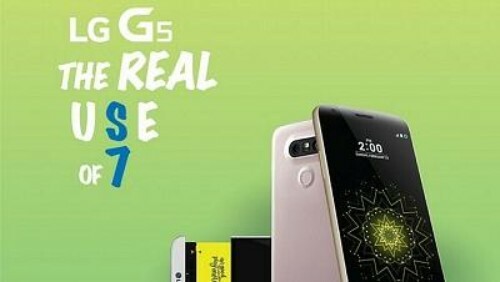 Quoted from GSMA information submitted, Saturday (02/27/2016), who was elected the best smartphones in the MWC 2016 is LG G5. This smartphone managed to get rid of competitors like Samsung is also launching the Galaxy S7 in this event. The latest flagship of LG managed to steal the public's attention because it brings the new exciting technology and have favored by many people. The winners list of the award that has been mentioned above is partially only. You can see the complete list of the award winners through the official website of the Global Mobile Award.